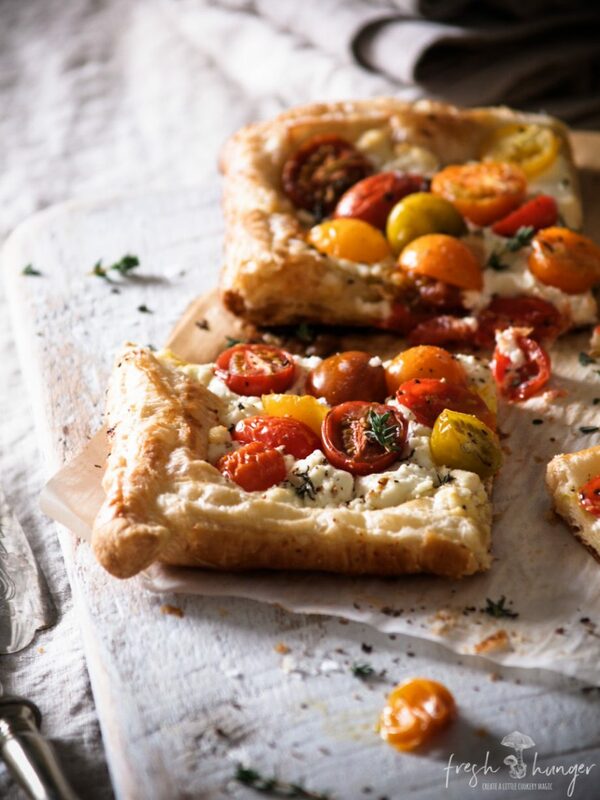 A handful of ingredients & a few minutes of prep is all it takes to create these beautiful tomato & goat cheese tarts – puff pastry, fresh thyme, creamy goat cheese & ripe cherry tomatoes – make for part of an effortless Easter brunch or a light meal. 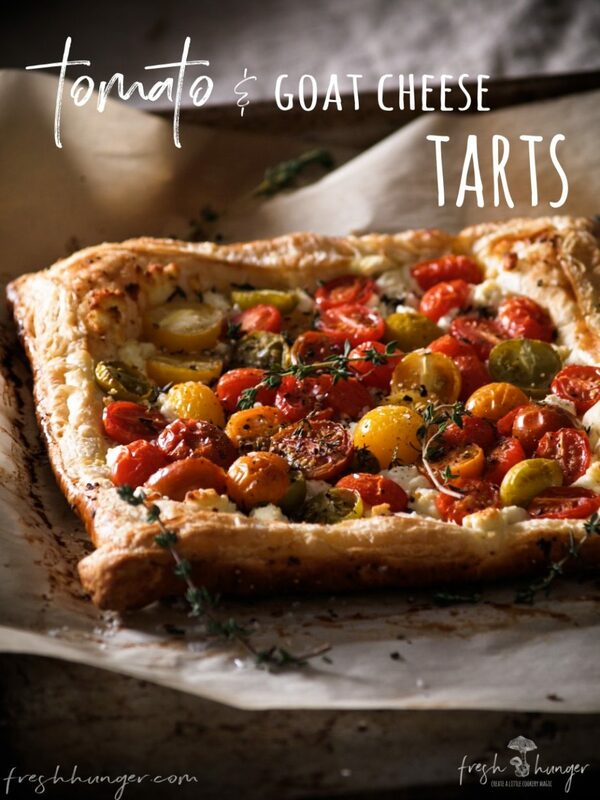 These are so easy you could almost make them in your sleep: leave the pastry to thaw in the fridge overnight & the next morning before guests arrive simple spread the pastry sheets with goat cheese, scatter the tomatoes, pluck some fresh thyme sprigs, salt & pepper & they’re ready to bake. So simple. 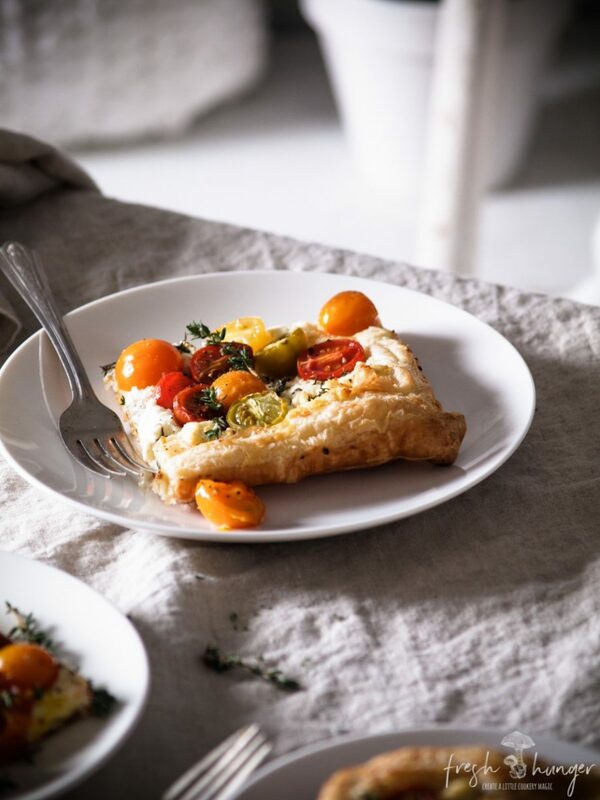 The pastry is warm & flaky & the cheese creamy & luxurious. Pastry & cheese are the perfect start to an almost effortless Easter brunch especially served with some bubbles. Enjoy! 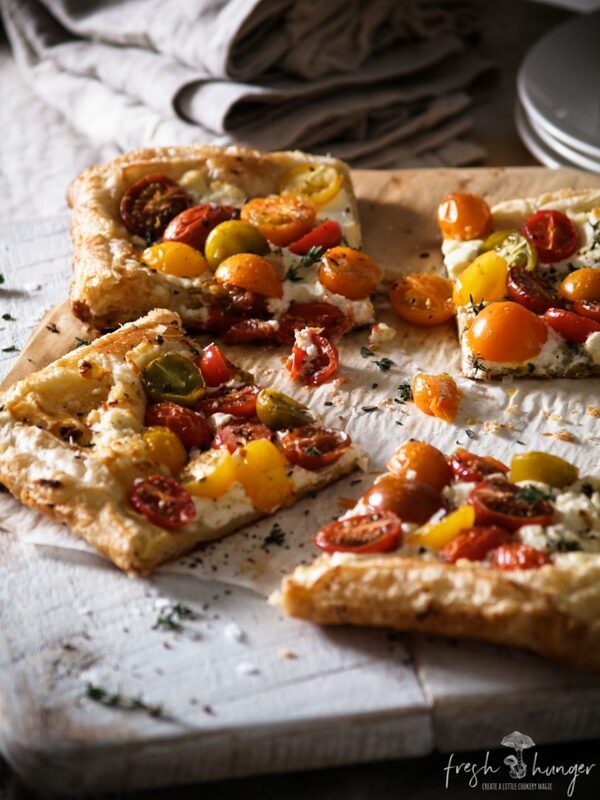 Flaky & buttery puffed pastry topped with creamy goat cheese & sweet, tart cherry tomatoes, infused with a sprinkling of freshly thyme, sea salt & cracked black pepper – these pastries make the perfect addition to a brunch or as a starter to serve with cocktails at your next soiree. Line 2 baking sheets with parchment paper. Preheat oven to 375F (190C). 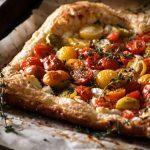 Place a sheet of puff pastry on a baking sheet. Spread the pastry with half of the goat cheese to within a little less than 1/2 inch of all four sides. Brush the sides with egg & fold them over to form a border. Use a fork to lightly press them down. Repeat with the other sheet of pastry & goat cheese, placing it on the baking sheet. Scatter with both tarts with the tomatoes & thyme. Sprinkle with salt & pepper. Bake on the lower racks for about 35 minutes, switching baking sheets around halfway through cooking. Cook until pastry is puffed & golden brown & tomatoes are wilted. Cut each tart into 4 to 6 pieces to serve. Serve warm. Serves 6 to 8. 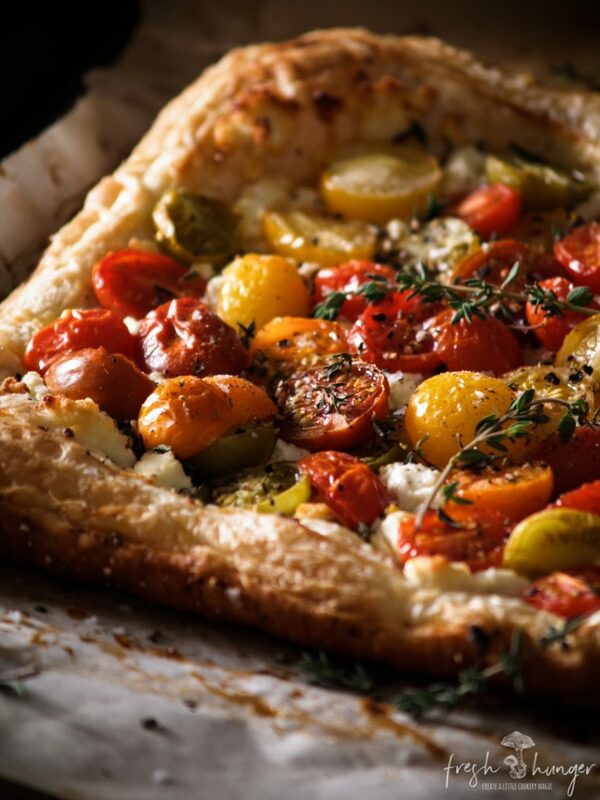 We use Pepperidge Farm puff pastry sheets in this recipe.